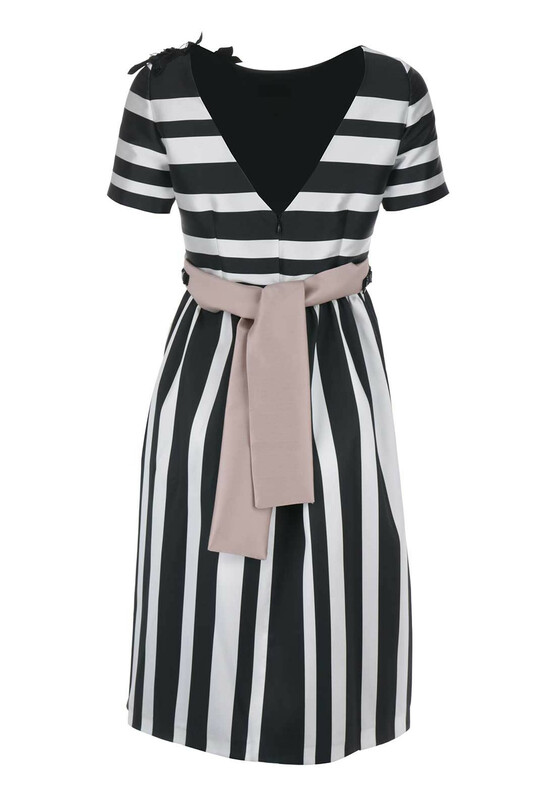 Matilde Cano presents this striking monochrome dress which could be worn with a black headpiece and high heels for an upcoming wedding or day at the races. Designed with a figure flattering fit and flare shape and midi length. 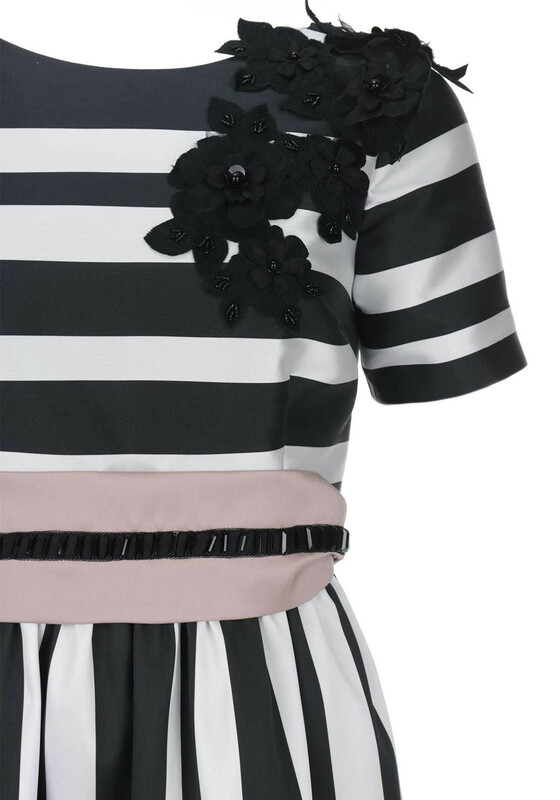 Made from fully lined structured fabric with a black and white striped print. 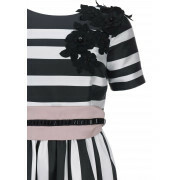 Features include a pretty applique floral print at one shoulder and a contrasting pink belt. A detachable panel allows you to create a deeper back.